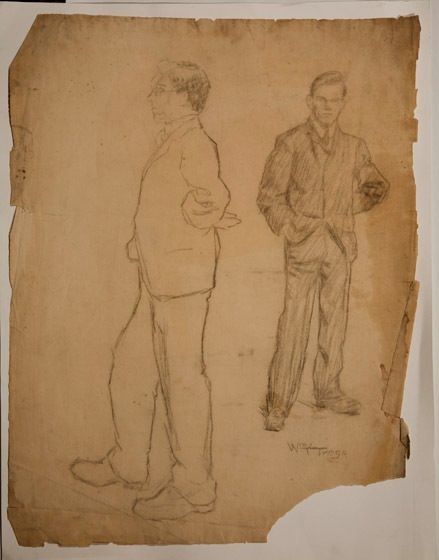 As with another sketch showing men in suits, this work does not look like a model posing for an art student figural study but has the look of a model posing for a fashion spread. It may be that Trego attempted to get a job illustrating fashions in his last years and this is one of the efforts in that regard. The paper is discolored and brittle. There is damage along the edges and some minor losses of material.